We know how important it is to safeguard our pets and animals from harm. 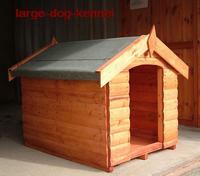 That is why our dog huts and runs are produced from the high quality wood and finishing's that any animal lover would expect. 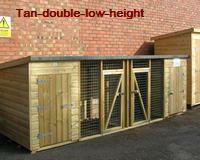 We currently stock standard sized structures for dog kennels, dog huts, runs and bird aviaries. 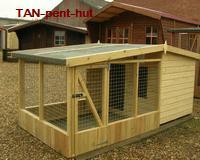 All huts and runs can be extended in length. 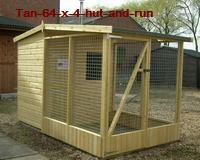 A level base must be prepared by the customer before the delivery date given. 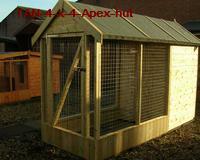 Top Quality Saw Falling Russian Red & White Timber. Pressure Treated 12mm Finished Tongued & Grooved Matchboard Floor & Roof. Pressure Treated 12mm Finished Tongued & Grooved Shiplap To Walls.